Editor's Note: On Friday, April 10, Miami Herald reporters Carol Marbin Miller and Audra D.S. Burch will be honored in Los Angeles as recipients of USC Annenberg’s 2015 Selden Ring Award for Investigative Reporting. The award is in recognition of their “Innocents Lost” series, which chronicled the deaths of 477 children whose families had been known by Florida child welfare authorities. In the following post, Marbin Miller and Burch share with ReportingOnHealth how they reported the series and overcame the many challenges faced. The Miami Herald had covered the abuse and neglect deaths of children closely for many years. But following two horrific cases almost exactly a year apart – the 2011 death of Nubia Barahona, who had been tortured and beaten to death by her adoptive parents, and the 2012 death of Jeshiah DeJesus, whose father stabbed him to death amid a hostage-taking, murderous rampage – the Herald decided to take a comprehensive look at whether state policies and spending decisions were linked to what appeared to be an excessively high number of tragic – and possibly preventable – deaths. This series relied heavily on human sources. At various times, we were given information from judges, prosecutors, police officers and leaders, caseworkers, administrators with privately run foster care agencies, consultants, children’s advocates, guardians-ad-litem, lawmakers, drug treatment and mental health workers and advocates, extended family members of slain children, neighbors, teachers, and school administrators. We had some sources deep within the systems we were studying who leaked both documents and information; we cannot offer additional detail without risking their identification. But the investigation relied even more on public records, and the Herald sued the state three times in Circuit Court in an effort to break documents free, winning twice. We used: Department of Children & Families (DCF) child death reviews; state Department of Health annual reports; police reports; autopsy reports; court records; budgets; DCF and other state agency emails; state prison records; reports from state agency consultants; DCF inspector general reports; reports from the state Attorney General’s Office; and criminal case discovery files, which are public records in Florida. Our database – which is available online and easily searchable – was, and is, the heart and soul of our series. In a statistical sense, the database allowed us to draw broad and sweeping conclusions regarding the state of Florida’s child welfare system. For example, we were able to report that the overwhelming majority of child deaths involved infants and toddlers. This enabled us to debunk one of the primary justifications for Florida’s misguided family preservation policy: That foster children said they preferred to live with their birth parents, even when such parents were drug-addicted, mentally ill or severely troubled. 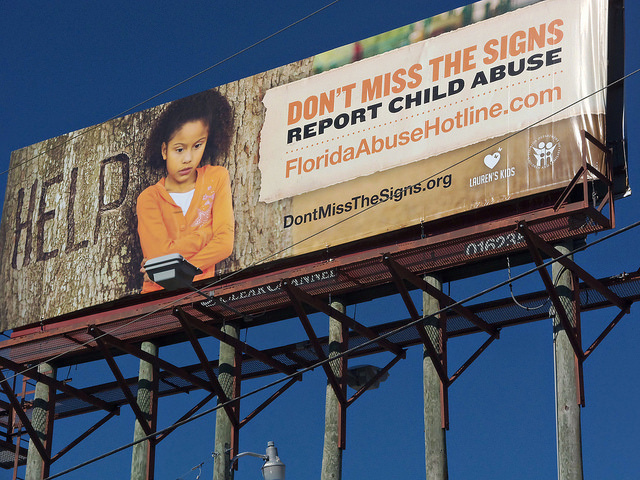 Most of Florida's lost children were unable to protect themselves in any way, or to seek help when they became endangered. The database allowed us to pinpoint a similar trend: disabled and medically complex children were especially at risk. Of the 477 children who died of abuse or neglect in our original sample, 85 youngsters, or 18 percent, of the children who died since 2008, were disabled or medically frail. But the database served another – perhaps more important – purpose: It allowed us to explore the loss in human terms, providing a name, a face and a story for every one of the children whose lives were cut short. Much of the series’ power owed to our ability to make these children real to our readers. This series was particularly challenging. We discovered that the primary records we were relying upon, child death reviews, were being redacted in such a way as to obscure the information we needed most: the family’s history with the state’s child protection system. Ultimately, through litigation, we were able to gain access to the unredacted versions of only about 25 of the most important cases, not every case, as we had hoped. We encountered several other obstacles. For example, during the course of our reporting, and after the state became aware of the scope of our effort, DCF began to hide information. We had to look elsewhere – police reports, court hearings – for information that once was contained in those reviews. And we were able to find insiders who were willing to provide us with information that we had obtained easily in the past, but could not now. In terms of shoe-leather reporting, we had some difficulty in getting folks involved in these tragedies to talk. Obviously, parents who were accused of abuse or neglect were largely unwilling to discuss the deaths of their children, unless they were considered non-offending parents by the authorities. We had better luck with grandparents, and other extended family members. “Innocents Lost” wrought swift and significant action. Only weeks after the series ran, the Legislature unanimously passed a sweeping overhaul of the state’s child welfare system. Almost immediately, they committed about $40 million for child welfare improvements and promised even more this year. Also, authorities in two jurisdictions pressed charges against caseworkers in killings that were highlighted by the Herald. You are probably going to have to design and develop your own database. Plan ahead. If you use a simple spreadsheet, design a system that will be compatible with online display later on. Make it easy to convert and easy for others to access and edit. Midway through data-entry, we converted to a Google spreadsheet so that others, in addition to the reporter doing most of the entry, could access the spreadsheet, even simultaneously. Each state’s child welfare system is different, and each agency errs in different ways. You’ll want to look carefully at probably your first 50 cases or so before you even design your spreadsheet, because the items you’ll want to capture may not be readily apparent to you until you’ve already gotten extensively into the weeds. You should consider a data-entry system or a spreadsheet where you can add columns later as new themes develop. Something that was not an issue one year may develop quickly into an issue later. For example, we learned that a particular methadone clinic in Tampa Bay had been linked to two-dozen child deaths. But this did not become clear to us until well into our data entry. Include a “comments” field for each row of data, and be generous in your descriptions there. Sometimes, your first thoughts upon reading the reports are the most useful, though not always. The comments section will be useful later if they are searchable. This is a type of reporting dive that benefits greatly from good old-fashioned sourcing. Look for sources within the state agencies responsible for child welfare, as well as guardians-ad-litem, lawyers for children, police, prosecutors, and especially child advocates. Look for friends among people who study child deaths and may be in possession of records that are not public. This type of series can be a long, long slog. Don’t be discouraged if your reporting takes longer than you had anticipated. Be prepared for some serious emotional upheaval as well, as you will be studying some of the worst things that can happen to any human being, let alone children. Our series was a built upon the non-traditional marriage of investigative reporting and narrative writing. Once you have all the numbers in front of you, one of the keys to this kind of project is to add the human element. Early on, we decided that we wanted to write a profile, whether big or small, of every one of the 477 (now 534) children in the database. We wanted to mark their lives as well as their deaths. Be prepared to have some uncomfortable conversations with family members. In order to write the most powerful pieces, you are essentially asking relatives to indict their own – a son, a daughter, a sibling – whose child died of abuse or neglect. Focus on the memory of the child but also emphasize that the child is the face of a larger social issue. It’s a long shot, but also call the relatives who were charged with the crime. We did a jailhouse interview in which a mother convicted of manslaughter in the death of her disabled son continued to maintain her innocence. And in another case, we called a mother accused of sleeping off a high while her son died in a fire in the house. We called for many months. She finally called back two weeks before publication and insisted that her actions had not endangered her son. The voices of both mothers were included in the series. Gather as many examples as possible – in dealing with a child’s death, there are going to be several people who will agree to an interview then cancel. They find reliving the story too painful or maddening. Use pictures as an emotional prompt. We asked relatives – and sometimes they offered – to walk us through the short lives of the deceased children as captured in personal photos. It is an effective way of having a difficult conversation and getting the layers needed to create a full and respectful portrait of the child. Related: Read the "Innocents Lost" series here. Photo by Daniel Oines via Flickr.